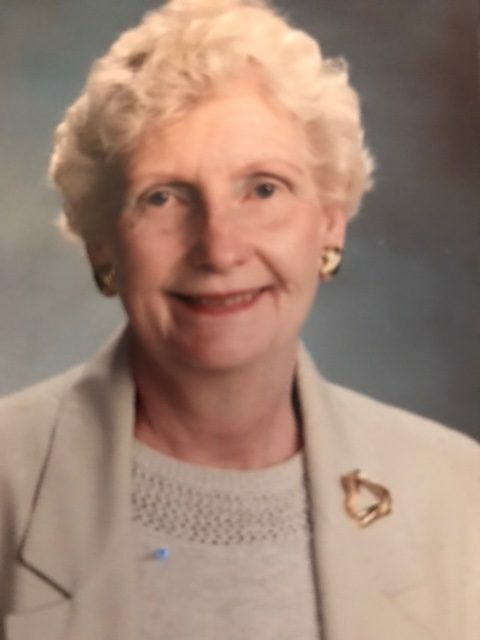 Joyce McCarthy was the long time Treasurer at St. Laurence and is widely recognized as one of the school’s most revered family members. STL was a very special place to Joyce as she was beloved by students, parents, faculty and staff alike. The role of “mom” was something very important to Joyce – she was very proud that her sons (Mike ’72, Pat ’73 and Dan ’84) and grandsons (Sean ’98, Colin ’03 and Billy Sullivan ’99) called themselves Vikings. To remember the important role that his mother played in his life – and her 25+ years of dedicated service to St. Laurence – Dan McCarthy ‘84 has issued The Joyce McCarthy Challenge. Dan has agreed to match, dollar for dollar, all new gifts and pledges (up to $100,000) to St. Laurence’s $5 million Defend the Glory campaign made before June 30. Defend the Glory will provide $2.5 million for student aid, a cause important to Joyce, as well as $1.5 million for faculty excellence and $1 million for infrastructure enhancement. Currently, the campaign stands at just over $4.8 million in commitments– meaning successful completion of the challenge would not only serve as a lasting tribute to Joyce, but it would also bring the campaign to goal. Offline pledges can also be made by contacting St. Laurence Vice President for Institutional Advancement Bob Hogan at 708.458.6900 or rhogan@stlaurence.com.